Federal Land Condominiums | Finding the right Condo for You! Welcome to Federal Land Condominiums! We will help you find your perfect home in the city that fits your lifestyle. If you are an investor, we will help you find sound investment properties in the Philippines that will surely meet your finances and return objectives. 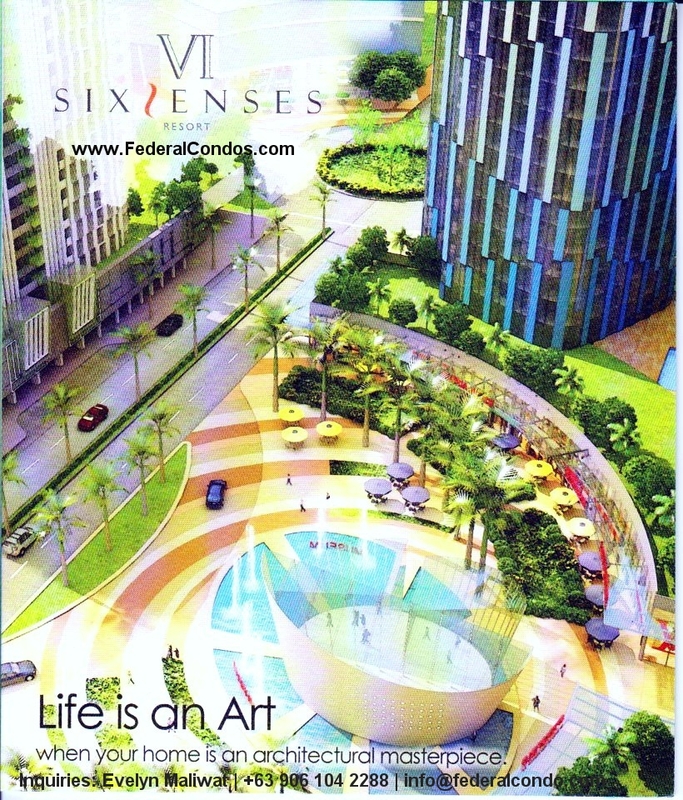 Federal Land boasts several landmark condominium projects that showcase Philippines major cities skyline. From the picturesque Manila Bay to the cosmopolitan vibe of Makati, the new business district of Fort Bonifacio, the valleys of Marikina City, sprawling Quezon City, even in Binondo historic district, shopping haven in Mandaluyong, scenic views of Cavite, and in the most desirable address in Cebu City, Federal Land offers signature developments that have generously spaced and functioned areas, state of the arts stylish designs, world-class amenities and vibrant communities for its residents. Federal Land Condominiums are master-planned communities that suit different needs and match different lifestyles. Federal Land properties are meant to enrich and enhance the Filipino family’s living experience. As a marketer of Federal Land properties, I will always keep you in mind. So whether you are looking for your first place to celebrate your success, or a new home for your growing family, or simply want to invest in rental properties, let me guide you along the way to enjoy your condominium. I will do my best to exceed your expectation. 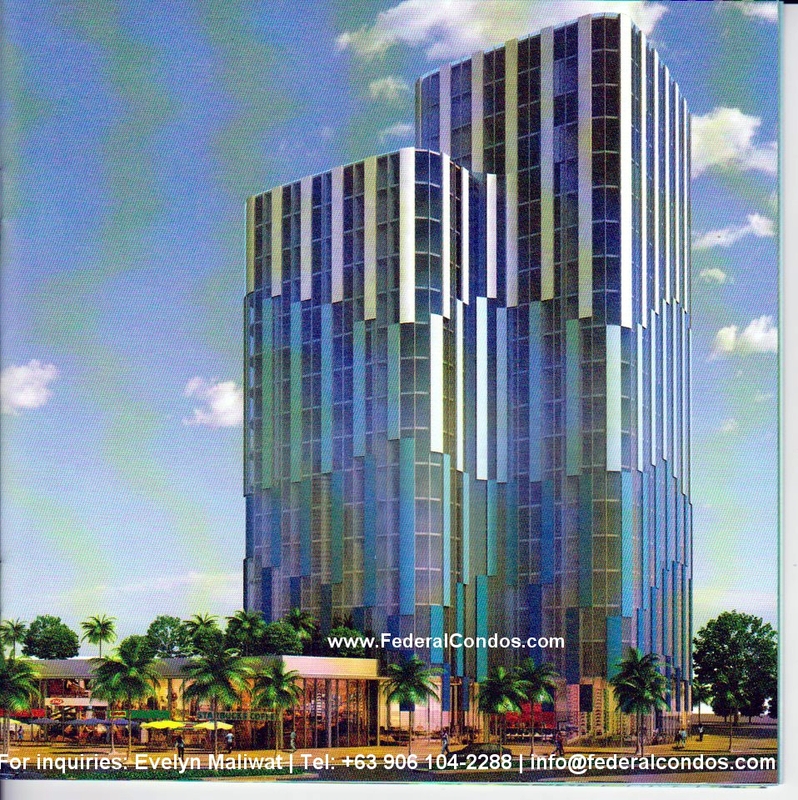 Another tower will soon rise in Federal Land’s 11-hectare Grand Hyatt Community in Fort Bonifacio Global City. Central Park West is the second residential tower in this well-planned complex after the overwhelming success of Park West. 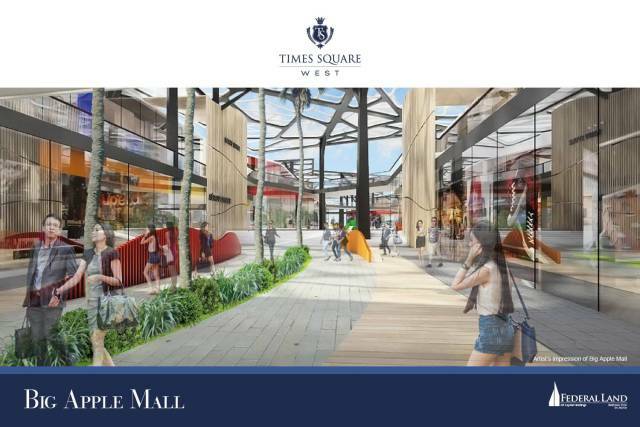 Central Park West is located along 7th Avenue in The Fort, Taguig, right across the New York’s Central Park-inspired Big Apple Park. Residents can finally enjoy their privacy as Central Park West boasts a low-density floor plan offering a maximum of 14 residential suites per floor. All units at Central Park West also come with a balcony, so you can enjoy the scenic view of Big Apple Park, or the glittering lights of Bonifacio Global City, Makati or Ortigas. Unit options at Central Park West include 1-, 2- and 3-bedroom units with different payment option to suit any budget. Luxurious New York-inspired amenities are available suited to the discriminating taste of residents. Park West, the first tower, was launched last year is now almost sold-out. Park West was designed and executed with elegance as its core concept. From the dramatic lobbies to its stylish interiors, Park West speaks of luxury at its finest. Its piece de resistance is the exclusive gateway to Grand Hyatt Manila. Grand Hyatt, the first luxury business hotel in Manila, are located in key cities around the world such as New York, Hong Kong, Macau, Tokyo, San Francisco, Beijing, Shanghai and Berlin. Grand Hyatt Manila is a mix-use development with premium office floors and luxury Grand Hyatt Hotel suites. The Grand Hyatt Community is conveniently located between 6th and 8th Avenue in northern part of Fort Bonifacio Global City and is within close proximity to St. Luke’s Medical Center, S&R, MC Home Depot, and premier educational institutions such as the British School Manila, Manila Japanese School and International School Manila and Lexus showroom. The integrated community is a joint venture between Metrobank’s Federal Land and Japan’s Orix Corp.
A proud member of the Metrobank Group, Federal Land, Inc. is owner, developer, and manager of quality residential and commercial properties. Established in June 28, 1972, Federal Land, Inc. prides itself with over 35 years of experience in property development. Established in 1964, ORIX Corporation Japan is an integrated financial services group providing innovative, value-added financial products and services to both corporate and retail customers. It has activities in a total of 23 countries and regions worldwide that include corporate financial services, real estate-related operations and investment banking. Evelyn Maliwat is Professional Regulation Commission’s (PRC) licensed real estate broker with Fedsales Marketing Inc., the exclusive sales and marketing division of Federal Land Inc. As a licensed broker, she has met the education requirements, attended a comprehensive real estate review and seminar and met the on-the-job experience/training requirement, most importantly, passed the Real Estate Broker Licensure Examination conducted by the PRC. Evelyn’s client portfolio mostly includes Filipino expats and OFWs, real estate investors, Pinoys aboard and foreigners who want to retire in the Philippines. 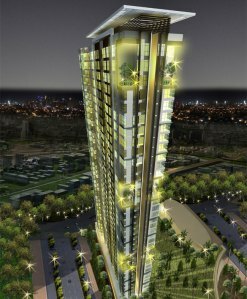 Cebu City, Philippines – Federal Land Inc., the real estate arm of Metrobank Group, recently unveiled another tower in the prestigious Nivel Hills in Cebu City. Marco Polo Parkview is the third tower to rise in this well-planned luxury development in the most desirable address in the Gem of the South. With the success of the first two towers – The Residences and Two Residences, Marco Polo Parkview is expected to follow through the momentum afforded to the earlier towers. Only few steps away from the 5-star Marco Polo Hotel, Marco Polo Parkview is situated at 800 feet above ground giving resident a panoramic vista of the channel or the twinkling cityscape light. 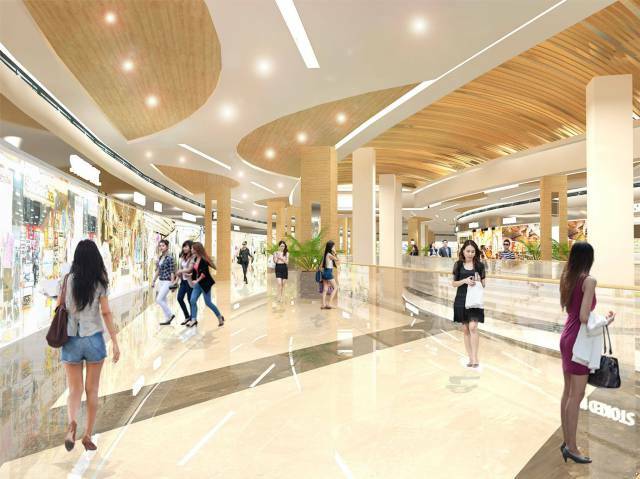 It is conveniently located and few minutes away from Cebu’s top destinations such as AsiaTown IT Park, Ayala Center Cebu, Magellan’s Cross, Downtown Cebu, SM City Cebu, Cebu International Airport and Mactan Shrine. Marco Polo Parkview will feature luxurious hotel-like lobby and five-star amenities. There are over 30 indoor and outdoor amenities set around a natural forest and wide open spaces. Amenities that residents of Marco Polo Parkview will enjoy include swimming pool, basketball and tennis court, mini theater, fitness gym, spa and many more. Selected amenities are designed by The Gettys Group (Chicago) and outdoor landscape features are designed by EA Aurelio Landscape Architects. Residents are treated like hotel guest as the development will be managed by word-class services of Marco Polo Plaza; privilege include concierge services, valet service, food and beverages signing privileges at hotel outlet, room service, laundry service, apartment cleaning, servicing and maintenance, security services, priority access to swimming pool, gym and wellness zone. A 2.5% launching discount is offered for first 50 buyers. Choose from wide selection of unit options from 1-bedroom to spacious 4-bedroom units with 36 sq.m. to 187 sq.m. Prices starts at less than P90,000 per sq.m. or P3.6 to P23 million, including RVAT. Six available payment options are being offered starting at only P15,000 per month for 1-bedroom. Discounts of as much 12% for cash buyers is also available. Units at Marco Polo Parkview offers maximum natural light and ventilation with 3.2 meters floor to ceiling height and over 40% glass to concrete ratio. Marco Polo Parkview features two level of basement parking, a centralized sanitary disposal systems and 4 passenger elevators. Security is a top priority with elevator key card access for resident only, CCTV system, stand-by generator for both common and residential units, automatic fire suppression system, fire detection alarm system and 24-hour security and maintenance personnel. The Marco Polo Residences is the first of its kind in the Queen City of the South. It is the first high-rise luxury enclave in the area that boasts international quality services of the Marco Polo hotels. Welcome to Park West. For many it’s Hyatt, for the privilege few it’s home. Park West is inspired by the stunning architecture, grand lobbies and sublime designs of the Grand Hyatt. Souring above Fort Bonifacio, your luxury address is an exemplar of modern architecture. With the Grand Hyatt connected to Park West, your home reaches new heights of elegance and prestige. Your new abode is extraordinary with special selection of 1- and 2-bedroom units. Park West is perfect for the discriminating few. 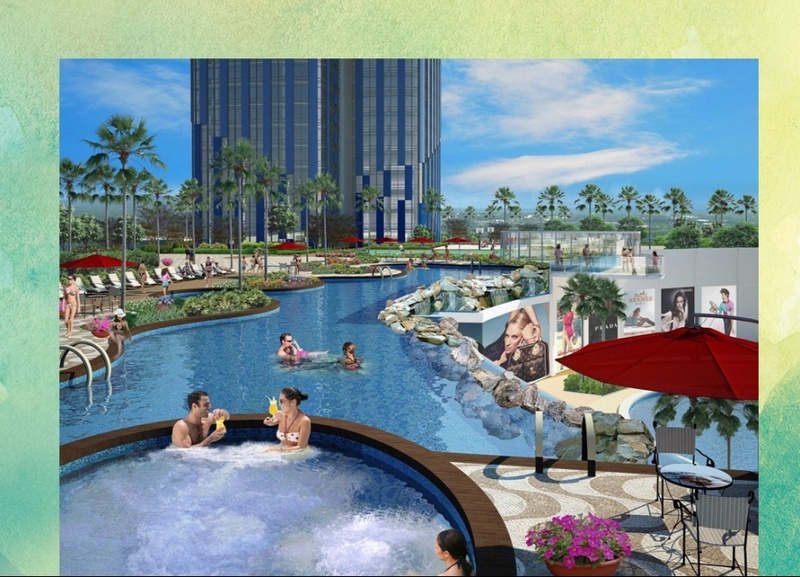 All units have balcony to enjoy the view of Global City, Makati and Ortigas cityscapes. Ready for occupancy by 4th Quarter 2015. 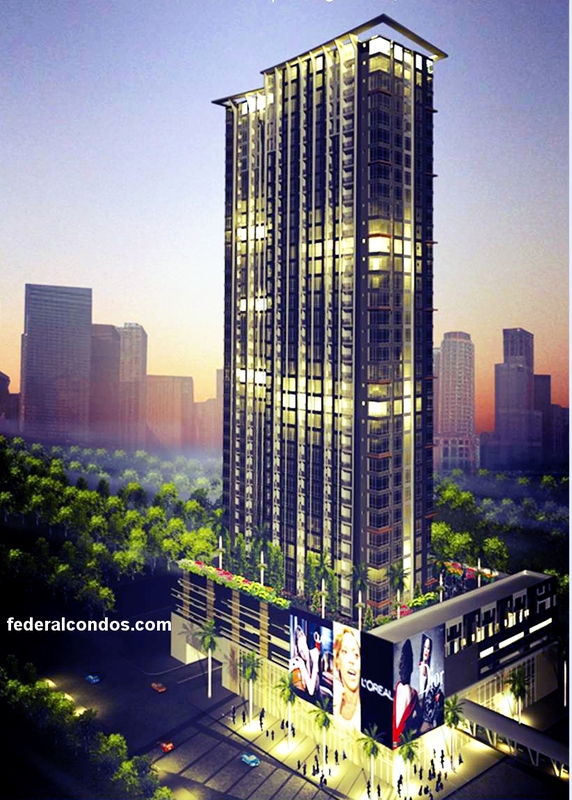 Park West is conveniently located along Seventh Avenue in Fort Bonifacio Global City. Your home lets you experience more – simply because it’s close to everything. The Fort is situated between the Central Business District of Makati and shopping and commercial district of Ortigas. Your new home at Park West is at the center of it all with access to major highways such as 8th Avenue, Rizal Drive, 34th Street and Kalayaan Avenue. A proud member of the Metrobank Group, Federal Land, Inc. is owner, developer, and manager of quality residential and commercial properties. Established in June 28, 1972. Federal Land, Inc. prides itself with over 35 years of experience in property development. Federal Land, Inc. is driven by its mission to create dynamic communities for generations to enjoy and is guided by its vision to become the dominant real estate developer most admired for its world-class landmark projects, excellent services, and highly regarded by its peers and partners. It is an employer of choice known for its highly capable team and outstanding innovations. It practices good governance and corporate social responsibility.